A while back, I came across a blog entry via Twitter that brought attention to an Australian social campaign called R U OK? It promotes starting conversations to let people know that they are cared about and to help them voice things that are not OK in their lives so that help can be provided before a situation becomes a crisis. It’s a beautifully simple concept really, and one that could realistically save a life. This morning, I was reminded of this campaign as I was sitting on my front step waking up with a cup of coffee. This is a small community so most people know each other. When a car drove up slowly into my neighbor’s driveway, I noticed it of course but did not think much of it until the door opened and no one got out. 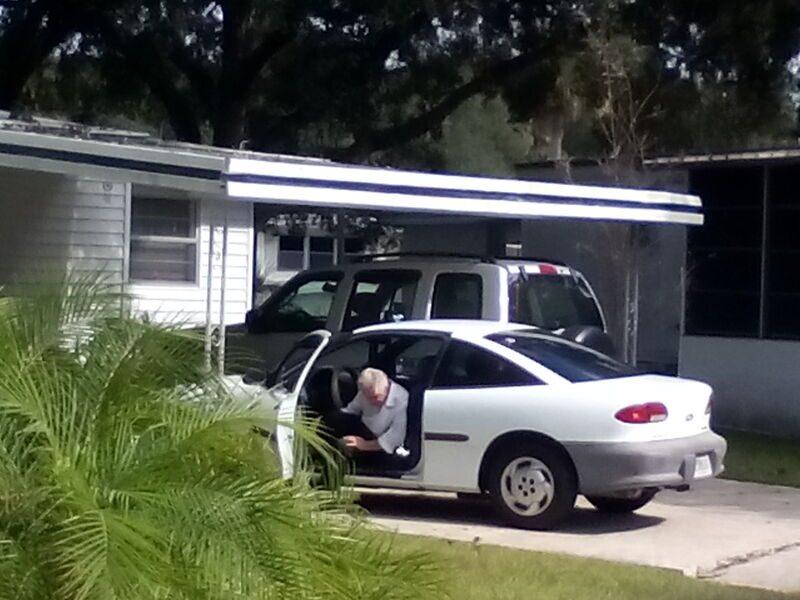 The elderly man in the driver’s seat sat there for a few minutes and then put his head down, chin-to-chest, occasionally looking around then putting his head back down for a couple minutes. From this angle, he was acting as I’ve seen people with dementia act when they are confused, not knowing quite where they are or why. Startled, he jumped and stared at me for a moment before angrily telling me, “I’m napping!” The tone of voice made me take a step back and apologize, telling him I didn’t know if he needed help and I was just checking on him. He nodded then, and turned to put his head back down. Sunday night… I don’t know what it was that made me feel the urge to go outside but something unseen directed me to get up, go outside, look left. I can’t describe the sheer horror when I did go and saw the smoke pouring out the front door, window and wall of my next door neighbor’s apartment. Within seconds, the fire was also visible through the wall. Within seconds, I was dialing 911 and running to wake my neighbors C. & B. on the other side of the fire. Those 2 minutes trying to wake them felt like forever. Once they were safely outside and substantially in shock, I ran back to my place and – still on the phone with 911 – and turned my hose on the fire (which was now clearly visible through the front wall and clear that the hot spot was a faulty electrical outlet) then onto my roof and outside wood walls and back onto the endangered apartment. B. then turned his hose on the area my water couldn’t reach and we held the fire back until the fire department arrived a full six minutes later. I went to talk with B. and C. while the firemen took an axe to the burning front wall of I.’s apartment to expose the fire. The source was indeed a faulty outlet that blew with a power surge. B. & C. had reported these power surges to FPL and to the landlord repeatedly and neither had done anything about it. Now it became a real threat to life and property. That night after the power was cut to that duplex and all was quiet, I was still too much of a nervous wreck to sleep. Monday morning, A. and his mom picked me up early and took me down to West Palm for the day to try to get my mind off everything. I almost had myself convinced that it was an isolated incident and that we were safe. That idea didn’t last long though as I spoke with C. that afternoon and she told me the landlord and the maintenance guy came out and did a “quick fix” by simply splicing a new outlet to the burned wire, replacing the front wall wood panels (only on the outside) and turning the breaker back on. This is a violation of fire code, it remains a fire risk and no inspection was done to ensure its safety, not to mention the maintenance guy is NOT a licensed electrician – Code Enforcement will have a field day on this C. promised to call CE this morning and I provided her the number last night. I called this afternoon (Tuesday) to follow up after learning that she had not called because she did not have her phone. Monday night saw no sleep either. This event has really gotten to me mentally and emotionally and my nerves are frayed, so much so that Monday night I tried calling around for a 24-hour free counseling line to try to find a way to quell the fear and anxiety. The only place I could get was a Consult-A-Nurse line and all they did was tell me to go to the E.R. Well, I did. My blood pressure was spiking, my head was pounding, my stomach twisted in knots. I had been in a full-blown panic attack for a full 24 hours. The Triage nurse tried twice to get my BP but could not get a reading. He told me it was “too high for the machine to read.” He told me to relax (yeah, right) and they’d try again in a few minutes. The next nurse who saw me briefly told me the chart said my BP was 117/20. Um – what? It’s never been that low – I have uncontrolled high blood pressure and no meds for it. I told her the guy who just tried to take it said it was so high he couldn’t get a reading. She said, “Oh, well it says here you’re normal,” and would not check it again to get a real reading. They falsified my chart! They refused to treat me for the anxiety or the BP and merely sent me home with a script for Vistaril which I wouldn’t be able to get until the next day anyway. I went in there because my pressure was so high it was making me sick and because I was in a panic attack too scared to sleep for 2 nights straight – and they refused to treat me. This is what hospitals do to people with no insurance – they leave them for dead. I almost wished I’d have had a stroke in the parking lot on the way out. Let them be accountable. Now it is Tuesday night and I still have not been able to sleep. The landlord and his secretary and maintenance guy are trying to say someone threw a Maletov cocktail at the building. What a load of crap. Even fire and police reports state the cause of the fire was faulty wiring. Maintenance also tried to assure me the building is safe now and that my building is safe, stating mine was inspected “when it was all done,” whatever or whenever that means. I don’t feel safe. Even today, my neighbors are calling me a hero. Yes I stopped a fire from spreading. Yes I got my neighbors out safely. But to be such a wreck afterward… Idunno… doesn’t feel very “heroic.” All I need is Valium.